Some days, I struggle to figure out where I am, I cannot fathom what I am doing, nor can I understand how I arrived at this moment, to be in this place. I question everything, I think about the choices that I have made, the decisions that I have taken, but there are two questions that come back to me time and again. They force me to evaluate my life and to search for the truth inside of my heart. I ask myself whether I am happy, and I wonder whether this life that I have created for myself, is truly my dream? I created this life for myself. I am both the architect and the builder. No one is responsible for where I am, what I am doing, how I live, no one, that is, except for me. I see taking personal responsibility and having accountability for your own actions and decisions, as one of the most important lessons that can be learned in life. I am not here under duress or coercion, I wasn't forced into making any of my decisions a certain way by any other person. All of my major life decisions have been taken by me, alone. I had no long-term partner to include in the thought processes and who could help with deciding the direction to take. It has always been this way. I guess, people might describe me as being headstrong, because I make bold, life altering decisions often, and when I do, I do so quickly and decisively. But to call me headstrong would be wrong. No decision to change my life, to alter the direction of my path has been made by my head. For sure, being a logical type of person, I weigh up the pros and cons, I might even make use of my project management skills and create a weighted decision table to aid in my thinking, and I'll always write down a list of advantages and disadvantages, so that I can more easily visualise everything with which I am grappling. But the plain and simple truth is that every decision I have ever made has been made by my heart. Each decision was made before I sat down and began the steps of logically analysing everything. I already knew the outcome, I already knew what I was going to do, even though I might not be able to admit that to myself at the time. Ultimately, my heart had decided in a single moment and what I have learned on my journey, is that I always follow my heart. I know no other way. I follow the way of the heart because rather than headstrong, I am and will always be, heartstrong. I write here on these pages, that if you always follow your heart, then you will unlock the light within yourself, and you will ultimately discover and achieve your dreams. So, it logically follows that if I am following my heart, then the life that I have now must be my dream. If it is not, then everything in which I believe completely unravels and falls apart. More than this though, it would mean that not only have I deceived myself, I have deceived every single person with whom I have spoken to about letting go of the fear, to follow the heart, and I have deceived every person that has taken the time to read this blog. Can it be true then, that I have not achieved my dream and therefore, by not achieving my dream, I am living a kind of pseudo happiness, not the deep rooted kind that emanates from your soul? No, that is not true. I do follow my heart and I have achieved my dreams. How do I know this? Simply because when I am immersed under the ocean, surrounded by the incredible beauty of life, perfectly balanced in a state of neutral buoyancy, like an astronaut in zero gravity in space, when I am lost in tranquility, feeling calm and relaxed, and when I witness the miracles of life, then I know that I have achieved a dream. When I look back upon my life, to the time that came before my life change, when I was working for IBM, I am filled with a deep sense of joy and pleasure, knowing of all that I achieved during my career and how I not only achieved that dream, but exceeded it by all of my wildest expectations. These are the two biggest dreams that I have achieved thus far in my life. There are many others. Smaller, yet equally as important, because they are the steps along my path of learning and gaining an understanding of myself, my life, and my heart. The problem is not that I am yet to achieve my dreams and find true happiness, because I have. What I have realised is that all that I have gained and achieved so far, all of learning, of evolving my soul, of finding my path, of discovering my true self, all of this is just one part of my dreams. I still have other dreams that I am waiting to fulfill. Until I can achieve these dreams and make them a waking reality in my life, then there is always going to be a part of me that feels a sense of unhappiness and of knowing that the life that I have now, is not yet complete. Only when I become a husband and a father, will I have fulfilled what I believe to be truly my life's work. Then, perhaps I will know that I achieved all of my dreams, then I shall know true and complete happiness, then shall my heart finally be at peace. Wait. No. That is not right. You see, even then, I will have other dreams to fulfill, new lessons to be learned, more steps to take along my path. It will never stop and I hope it never stops. My heart will drive me onwards, along the path of my choosing, along my one true path, until the moment I draw my final breath, and look back upon a life that was lived, and dreams that were fulfilled. And in that final moment, I will smile the sweet smile of pure happiness, and then I will know that I never knew the devil of regret. 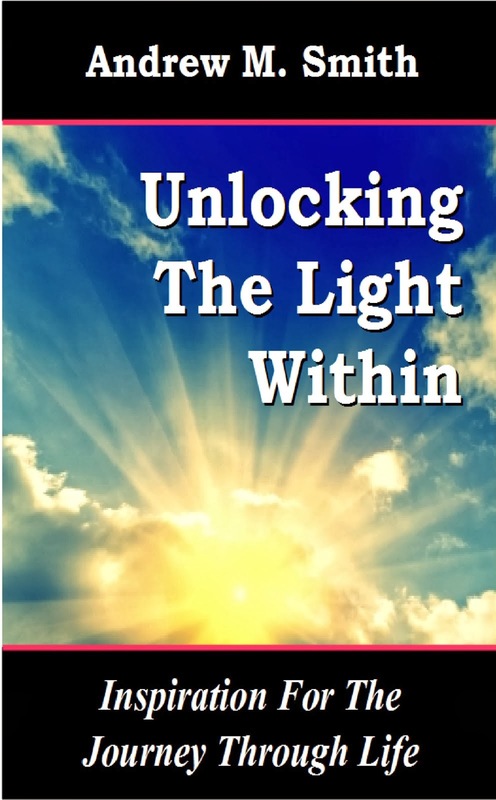 Through writing this post, I have created a new word that describes perfectly, those of us who follow our hearts and strive to unlock the light that we hold within. We are the heartstrong. We are bold, we are adventurous, we are daring, and we are courageous. We live our lives deliberately and we feel emotions deeply. We strive to learn, to grow, to evolve our souls. We have opened our hearts to see the miracles of life that surround us every single moment. We know that love is the force of the universe and is found in everything. And we the ones who will never give up the fight for our dreams. Heartstrong. Join us. Good word! Very descriptive. And yes, I agree. There will be no moment in our lives when we can say: "This is it. Happy now. No more dreams to achieve. "Even my 90-year-old grandma has dreams, projects, goals... And that's what keeps her content and driven. I hope I'll be like her. Anyways, again, for argument's sake... what is happiness exactly? How do you define happiness? I've tried to give it a definition/description recently, and I failed. Aren't we in a quest for the holy grail here if we are looking for happiness? Aren't we looking for the wrong thing? Isn't happiness overrated anyways? Isn't happiness a big fat lie? For me I think peace better describes what I'm aiming for. Happiness is too ephemeral. Too unsustainable. Too hollywoodian. Peace sounds more real. More permanent. More achievable with practice. It does not depend on anyone but me. And through peace, yes, maybe I can be happy too. Think about this: "And they lived happily ever after". What a load of stinking poo!! No, there is definitely no such thing... As kids we were brainwashed into believing the wrong thing. I think children's stories from now on should all end with "And they lived together in relative peace and harmony through hard work, tolerance, forgiveness and a strong will to resolve conflicts and overcome difficulties together."